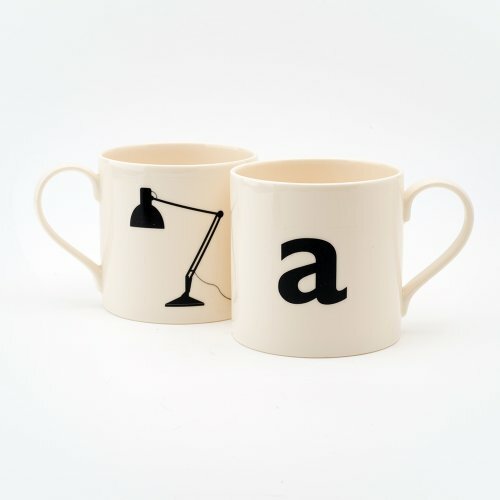 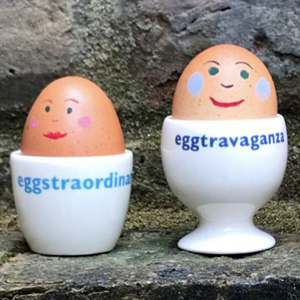 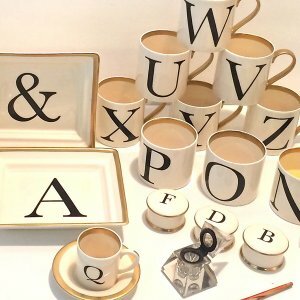 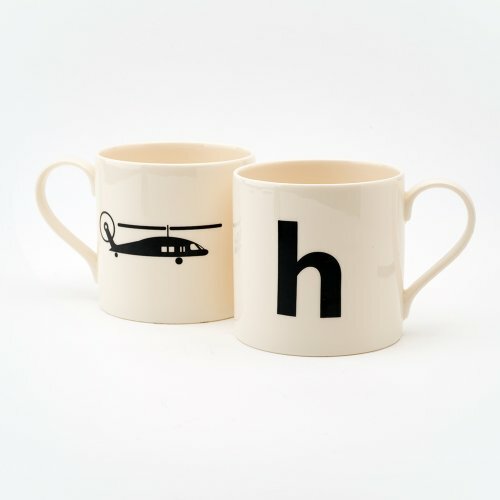 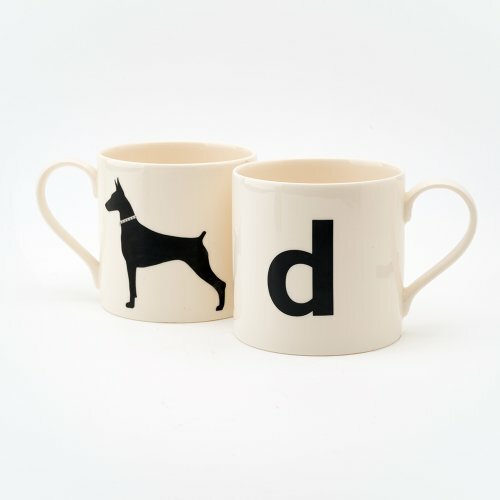 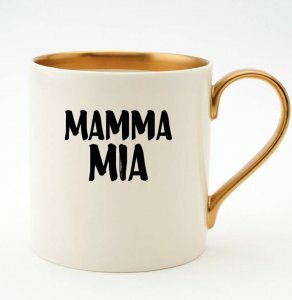 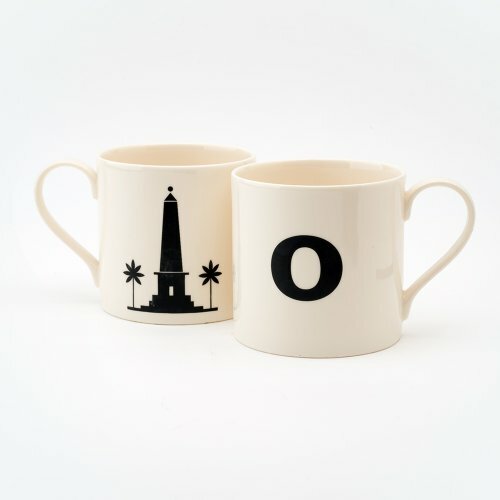 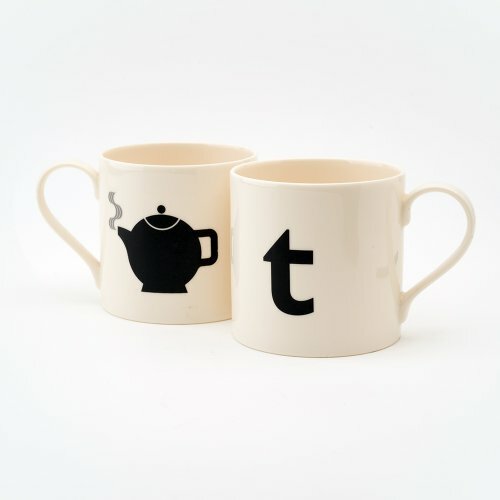 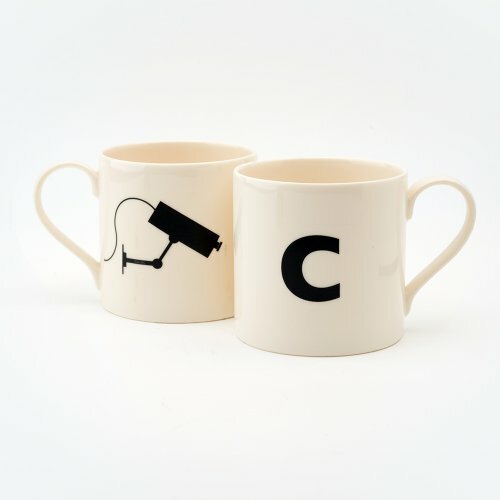 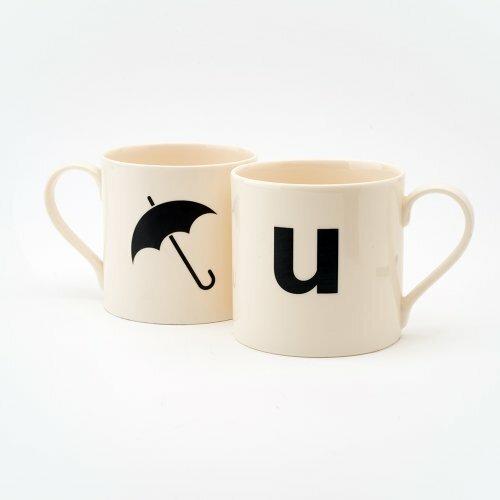 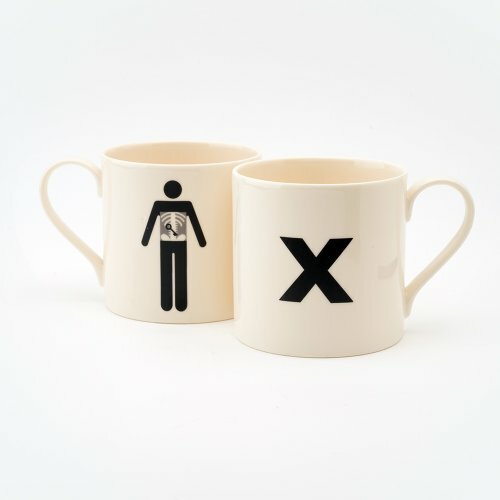 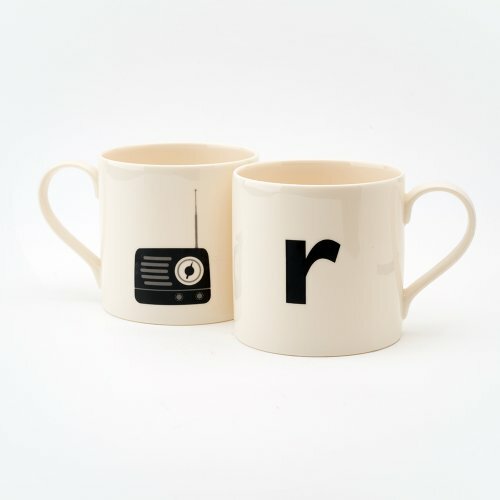 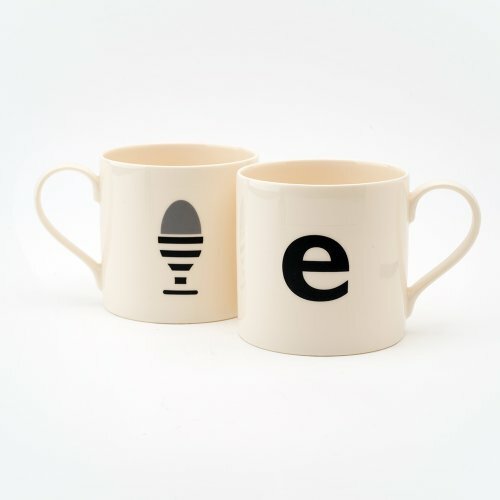 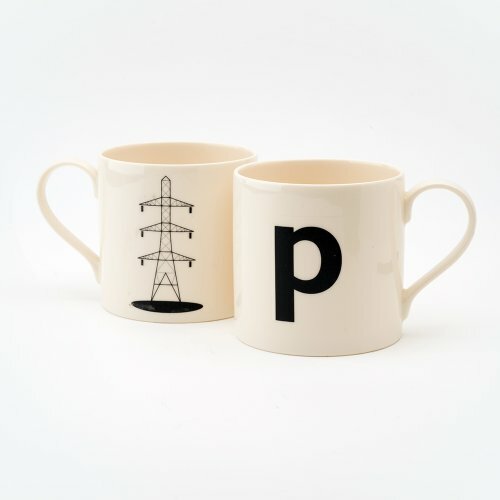 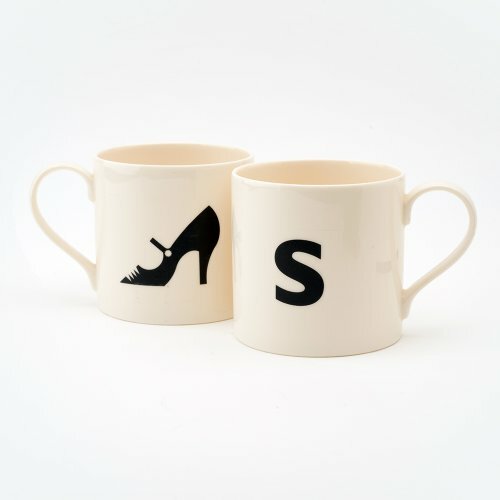 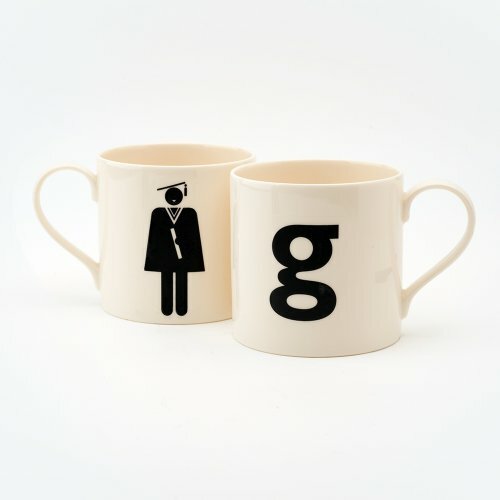 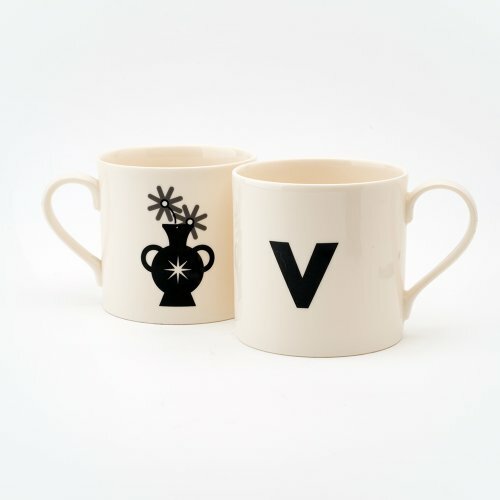 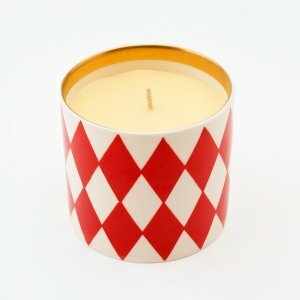 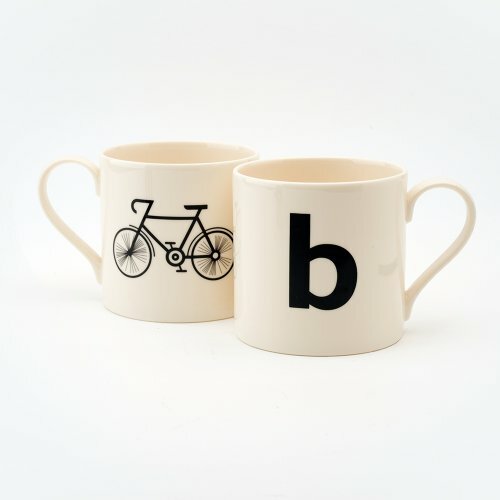 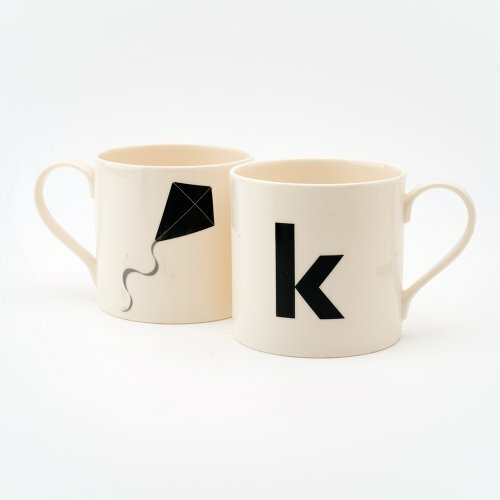 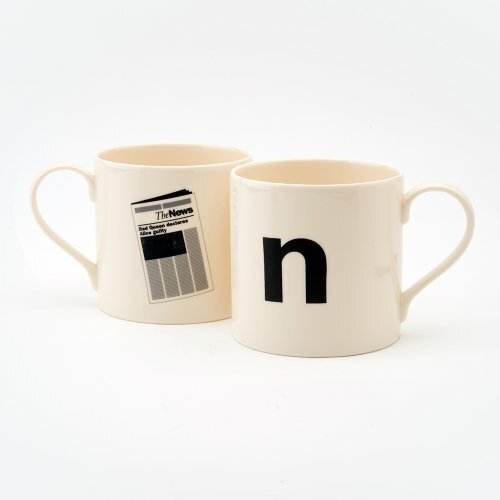 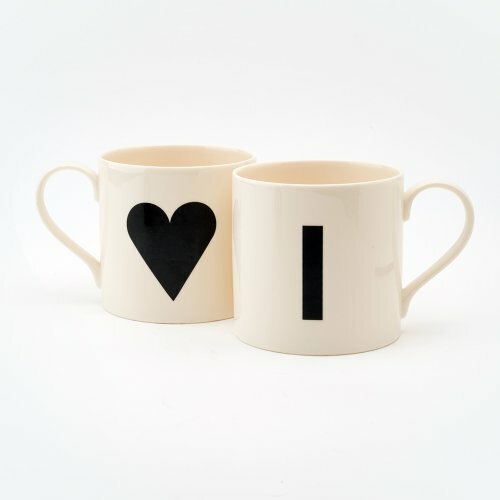 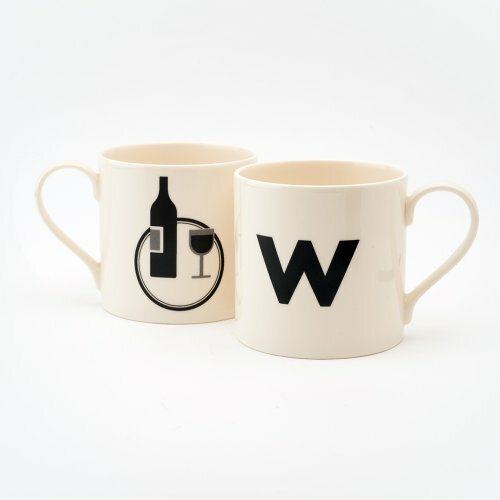 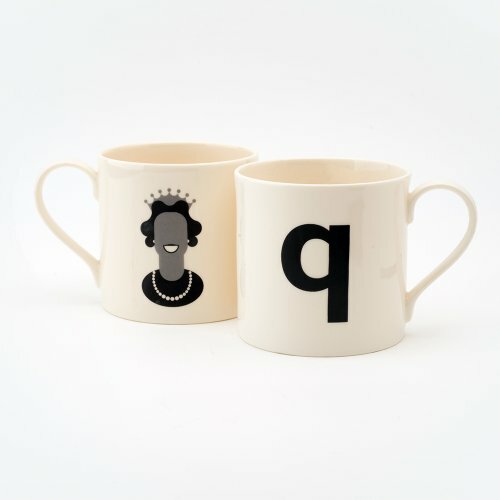 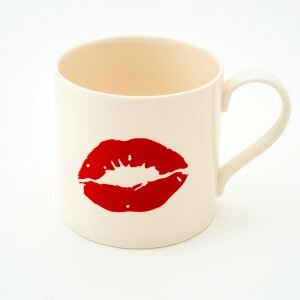 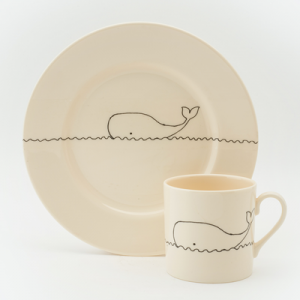 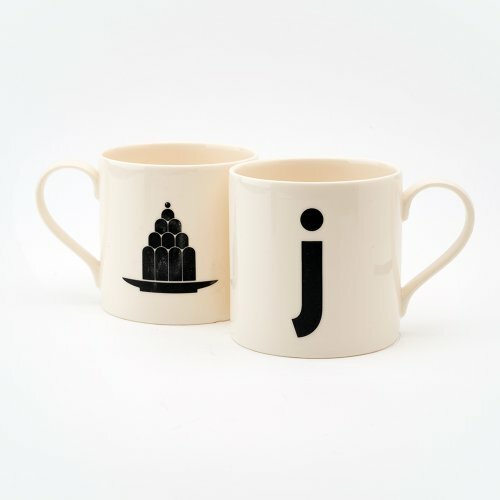 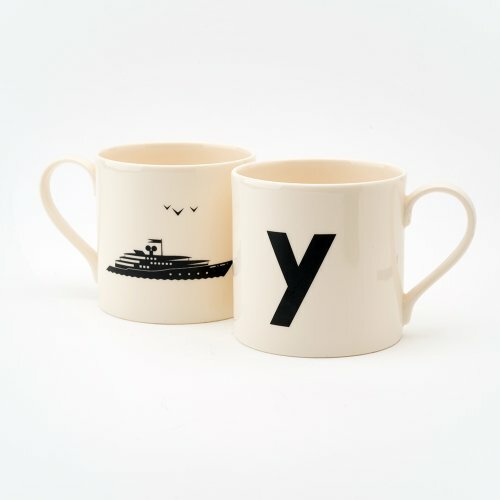 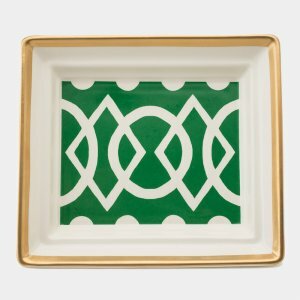 A collection of English cream ware half pint mugs, where contemporary silhouettes combine with letters of the alphabet. 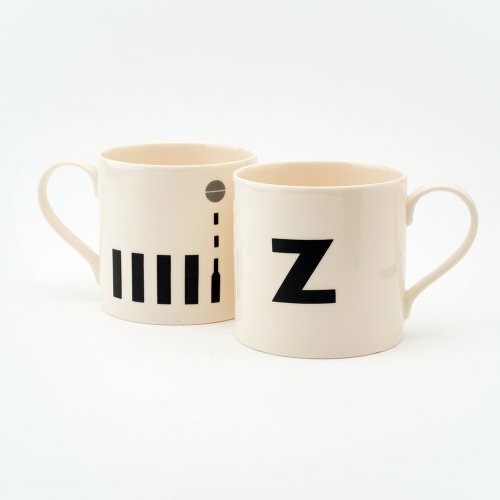 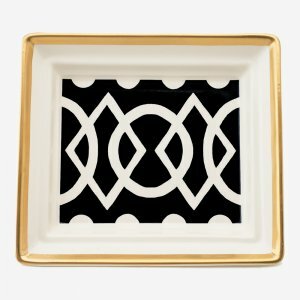 A modern twist on the alphabet, replacing traditional symbols with modern design icons. English creamware - hand cast and hand decorated 1/2 pint mug.